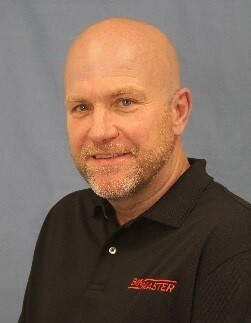 Todd Peterson has been promoted to the new role of Director of Technical Services at BinMaster. For a company that puts customer service first, this new position addresses the company's growing and diverse product line and commitment to outstanding technical support. Peterson joined BinMaster over twenty years ago and has served in pivotal roles in the growth of BinMaster including regional sales, sales management, and business development. An expert in fitting customers with the right solution for their level sensor and inventory needs, Peterson has worked with accounts world-wide and played a strategic role in bringing new product lines to fruition. ”Todd’s in-depth product knowledge, coupled with his long history of working with customers on complex product applications will be an asset to his new support team – and BinMaster’s large and growing customer base,” explains Scott Hudson, Executive Vice President of BinMaster Sales and Marketing. In his next chapter at BinMaster, Peterson will manage the technical services team, bringing his unique experience and understanding of customer service and product knowledge to his role.